Last week I presented Part 1 of a simple question and answer process for reviewing 2009. 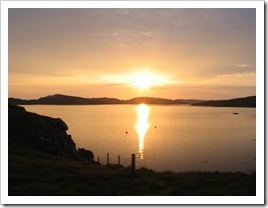 This week in Part 2, we create plan for 2010 that makes it a year of impact. We follow a similar line of questions. However, instead of asking questions to discover the past, we explore the difference we want to make in the future. A link to last week’s simple question and answer page with Part 2 questions added is available at the end of the column. As you read through these questions, it will benefit you to download the three Circle of Impact Guides to follow along. If you did a review of 2009, you should see two kinds of changes that have taken place. One is the kind that has happened to you by external forces, like the economic recession or changes in the workplace. This is the disruptive kind of change that no one likes. The other kind of change is the impact you create when you make a difference in your life and work. Seen together, these two kinds of change provide us a picture of the recent past and a potential future. 1. 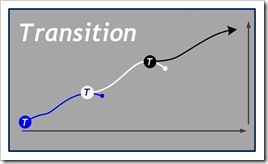 What is the transition that is taking place in your life and work? 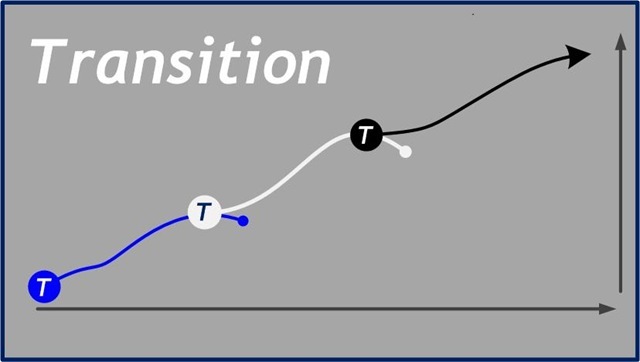 As you look at the transition that is taking place around you, and how it impacts you, think in terms of moving from one level to the next, that you are progressing forward in your life and work, and not simply making random changes. This may mean that you stop doing some things and begin some new ones. It could mean a job change or re-orientation of the primary market for your products and services. The key to understanding the future is to understand the difference you can make. Impact is the difference you make through your life and work. It is change that you are creating. Without change, there is no impact, nor a difference that matters, no growth or movement forward. Stability, security and safety are life and work absent change. Change is always happening. The question that each of must face is what kind of change can we create that makes a difference that really matters to us and our clients. Once we begin to understand that we are not fighting or running from change, but creating the right kid of change, then we can see that making a difference is also a transition from where we are to where we want to be. We want to focus then on creating specific changes that lead to the next level of our life and work. This is what it means to be a person of impact, and it simply starts with our desire, commitment and the initiative to make it so. The following questions sharpen this perspective so that you know what you must do. 2. What is the impact you want to create in 2010? Based on your review of 2009, what impact do you want to continue and expand in 2010? The impact you identify is an expression of who you are that is demonstrated through the three dimensions of Impact. Last week we divided this question into three separate ones focused on Ideas, Relationships and our Social and Organizational contexts. This week, we want to look at these three dimensions as a dynamic interaction between them. For example, a goal for next year might be to have a greater impact as a communicator. Communication is an important aspect of life and work. Improving our ability to communicate is a process of addressing each of the three dimensions. We need to be clear about the message we want to communicate. We also need to understand what people want to hear from us and how they want to receive our message. And we need adapt our way of communicating to the contexts and organizational structures where the people we want to impact are. If we take each goal for next year, and use the dynamic interaction between these three dimensions, we’ll find a higher level of integrity and effectiveness in our life and work. 3. Who do I want to impact in 2010? It is very helpful to create a list of the people whom you have had involvement over the recent past, and identify the impact you or your work has had on them. You may begin to see a pattern of impact that identifies how a specific group of people are a better market for your products and services. You may find that what you thought your primary impact to be is a secondary one. The more time you spend identifying the difference you make in people’s life and work, the clearer you’ll be on the direction you should take in the future. This picture leads to the next question. 4. What opportunities do I have now that I need to act on for 2010? Being able to see clearly what your impact is also reveals the opportunities that you have. An opportunity emerges from a clearer perception of our situation, from relationships where there is a higher level of interaction and from being in the right place at the right time. Each of these is dependent upon our being persons of impact. 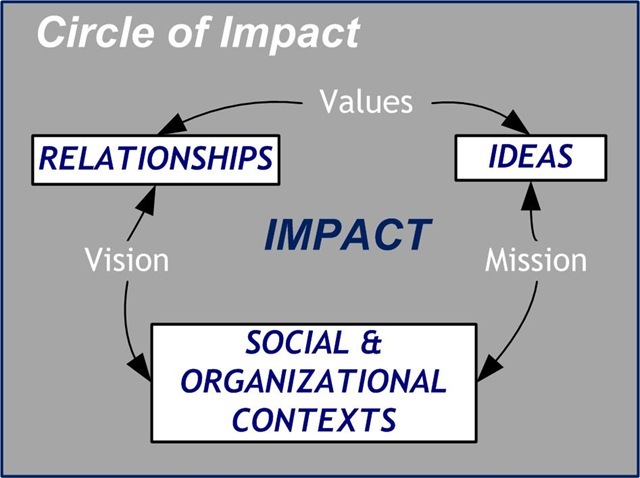 Focus on making a difference in the three dimensions of the Circle of Impact, and opportunities will emerge.To take an opportunistic perspective may be one of the changes that you must make in the coming year. I find that many people measure their lives by their activity level. In effect, they will list the things they have done, rather the impact they’ve created, to determine their effectiveness. This approach to measuring our life and work is like taking a trip to Hawaii and talking only about the cost of airfare, lodging, food and souvenirs, instead of the beautiful scenery, rest and renewed perspective that comes from a great vacation. Our opportunities come through the difference we make. Focus on creating that difference and you’ll begin see new opportunities come to you. 5. What problems have I created that I need to resolve in order to create the impact I want in 2010? This is by-far the hardest question because it requires us to be honest, realistic and courageous. Our opportunities to make a difference are dependent upon us being prepared to do so. If we have issues in our life and work that stand in our way, we must address them. 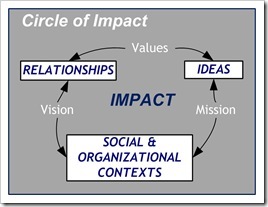 You can use the Circle of Impact as a guide to identifying what those problems might be. Maybe you have a problem of seeing your situation clearly, or it is a lack of up-to-date knowledge in your field. Maybe you have issues with people at work, or you lack confidence in building relationships of trust and mutual service. Maybe your business lacks focus or you have a debt problem. It could be many different problems. Remember every problem is functioning in the dynamic of our ideas, our relationships, and the social and organizational structures where we live and work. Remember that we are dealing with problems that we have created, not the external ones over which we have no control. Don’t play the victim and whine about how bad you have it. The control we bring to these problems is the acceptance that we are responsible and from that position of strength, we can make a difference by resolving our own problems. As we do so, we also learn how to help others do the same. Planning for impact in 2010. This process may take some time if you want to do it right. It is worth the investment. Here are three suggestions for how to make the most of your effort at planning for 2010. Conversation: If you have a business partner or close colleague, use the materials provided here to spend some time talking about the past year and the year to come. If there is no one you trust, hire a coach to work with you through these questions. You will be amazed at the insights that will come to you as you translate the thoughts in your mind into coherent statements that another person can understand. Do this, and you’ll also understand how to act on these ideas. Write it down: Just as conversation helps us to verbalize our thoughts, writing them down helps us to quantify and qualify them. When you put on paper statements that describe the impact that you are having, it forces you to be specific and clear in describing what you see taking place. The purpose is not to write a book, but to be clear in what you are seeing and want to make happen next year. Consistency: Others before you have taken this process and used it transformed their life and work. These are simple questions and simple ideas. They are reflective of the way we live and work everyday. The FOUR Questions that Every Person Must Ask is a tool that you can use regularly to maintain a consistent focus on the impact you want to have. My recommendation is that you schedule a half and hour every week and answer the Four Questions for the upcoming week. As you do so, you’ll make a mental transition from scheduling your week by its activities to making a difference in peoples’ lives and work. Download the Circle of Impact Life / Work Planning Guide for 2010 Workbook . The purpose of these tools is to help you think clearly so that you can make the changes in life and work that enable you and your clients to grow your impact next. I wish you a fulfilling and impact 2010. Work, Life, Lead: Energy or Impact? Tagged with change, consistency, contexts, conversation, difference, ideas, impact, networks, opportunities, organizational, planning, problems, relationships, social, structure, writing.